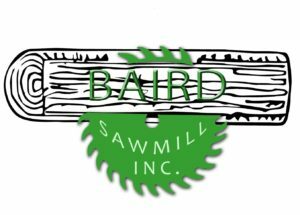 Welcome to the Baird Sawmill website! Michael Baird, along with personal foresters, purchase standing timber of all native hardwood species. Ninety percent of the logs used at Baird Sawmill comes from individual land owners with the remaining ten percent being brought into the sawmill by independent loggers. We manufacture an array of products, from lumber and pallets to log homes. Call us today at 765-569-6721 or contact us via email at sevans@bairdsawmill.com to place an order or for further information. We purchase standing timber, timberland, and logs. * Prices & policies are subject to change without notice.